The Digital Age in which we live runs on Science, Technology, Engineering & Math (STEM). To compete in our globalized world today, students must possess complete STEM fluency. MathSP is the only STEM-focused academic coaching business in the state of Georgia. 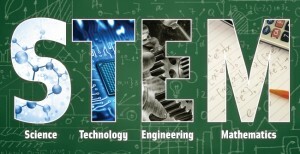 Our mastery of STEM optimizes our signature approaches to cultivating complete foundational knowledge in our students. Whether you’re seeking academic coaching in math or science, we’ll do more than just address your gaps and enable you to achieve solid grades – we’ll impart STEM fluency so that you’ll be able to confidently and competently tackle the educational challenges that lie ahead in school and in life. STEM fluency is the ability to problem solve, think critically and logically, apply theory and innovate. STEM fluency is a way of thinking and learning that empowers complete foundational knowledge of the subject at hand. Our STEM-centric approach makes your academic coaching experience at MathSP an unbeatable educational exchange that yields optimal outcomes. If you need coaching in a STEM subject or simply strive to achieve a deep, foundational understanding of the topic at hand, there’s no other academic coaching company to consider. Our coaching methodologies are unparalleled. Taking you from STEM literate to STEM fluent is what we love to do. nearly double the growth for non-STEM fields. Jobs in computer systems design – a field that hinges on high-level math and problem-solving skills – are projected to grow 45% by 2020. On average, STEM majors can expect to earn 26% more than non-STEM majors and will be less likely to experience job loss. Our students are the next generation of inventors, problem-solvers, and game changers. It is our responsibility to ignite their curiosity and passion for the world they live in. Work with us.